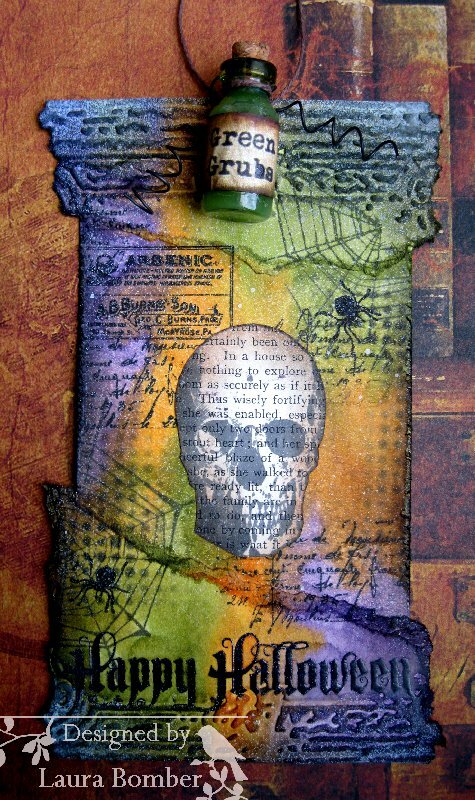 Our Creative Corner: It's Halloween - Let's Tag It On! Oh, YESSS! Halloween is fast approaching and your tags really set me into Halloween-ish mood!!! Fab, fab, fab!!! Well I just love the DT projects, so spookalicious! I misread the challenge before, but am here now! Hugs! I love Halloween and your pieces are wonderful inspiration. Got to get my Witches Hat on now for some serious thinking! A gorgeous tag and wonderful inspiration from the design team. Thanks for the fab inspiration and fun challenge!